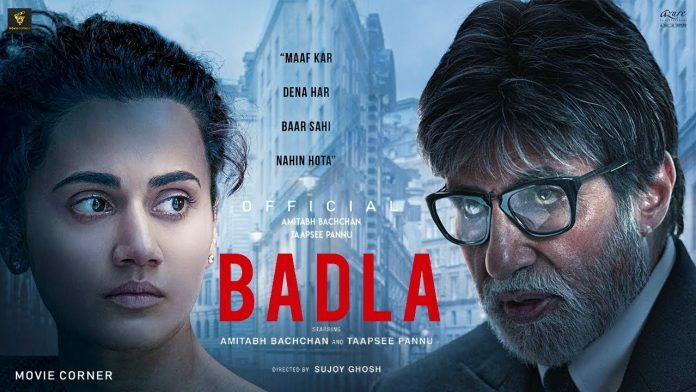 The crime thriller starring Amitabh Bachchan and Taapsee Pannu has collected 62.37 crores in two weeks owing to the positive word of mouth hailing the murder mystery. The total collection of the second week is Friday – ₹4.05 cr, Saturday – ₹6.70 cr, Sunday – ₹8.22 cr, Monday – ₹2.80 Cr, Tuesday – ₹2.60 cr Total – ₹24.37 cr, The total collection of Week 1 was ₹38 crores. Recently Amitabh Bachchan and Taapsee Panu starrer Badla raked in USD 3.7 million in the overseas market. Previous articleDeepika Padukone Sets The Ball Rolling With Her First Award For The Year! Next articleSanjay Leela Bhansali Wins Best Director At The Zee Cine Awards!